The leatherback is a tank of a turtle: up to 7 feet long and 2,000 pounds. BUT THE WORLD’S largest turtle species is in trouble. Populations have declined 90% since 1980 due to pollution, run-ins with commercial fishing operations, poaching, and unchecked development along their favored nesting beaches. 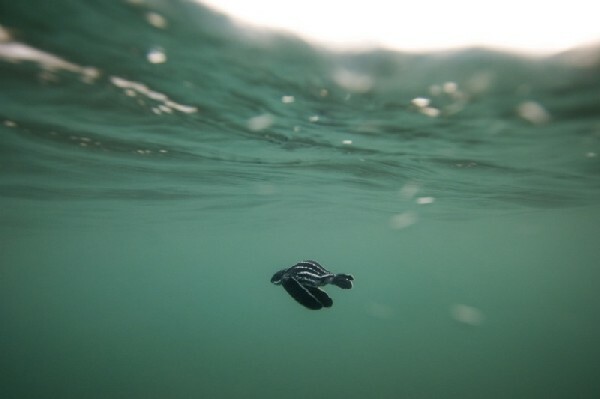 On the Pacific coast of the Mexican state of Baja California Sur, a handful of people are working on an ingenious and effective project to get more leatherback hatchlings safely to sea. 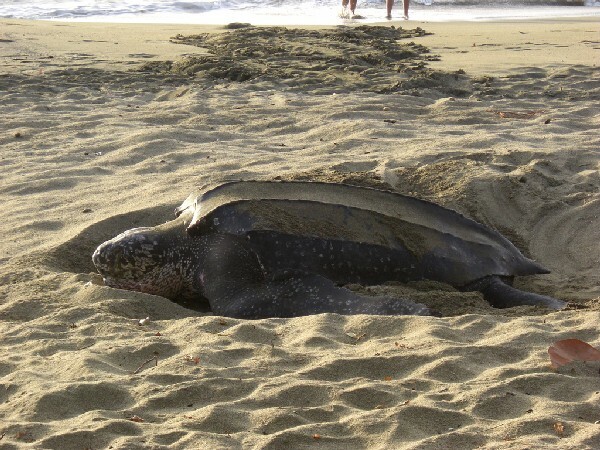 Leatherback mothers lay their eggs from October through March. The beaches north of Los Cabos, near the towns of Pescadero and Todos Santos, while as yet undeveloped, are too chilly through most of nesting season for the eggs to stay viable—only the early October nests have a chance. That’s where Project Todos Tortugueros comes in. In the course of her master’s degree research, biologist Elizabeth Gonzalez designed what is essentially a turtle greenhouse—a structure that raises the temperature of a chunk of the beach just enough for optimum leatherback nest incubation. A Los Cabos-based turtle rescue group, ASUPMATOMA, donated the greenhouse to the small group of locals and expats who make up Todos Tortugueros. Twice and sometimes three times a night during nesting season, members of the Todos Tortugueros team patrol the local beaches. As soon as a nest is found, trained volunteers move the eggs into the cozy greenhouse. As the hatch date approaches, volunteers keep a close eye on the nests. The hatchlings are released on the beach to make their way to the sea, where they’ll confront both natural and man-made dangers. The females who survive to adulthood will return to these beaches to lay their own eggs. In 2009 alone, more than 500 eggs—eight nests—have been protected. Hatch rates have been high, and local schoolchildren, fishermen, and community members are catching the Todos Tortugueros team’s enthusiasm for turtle conservation. But even as hundreds of baby turtles make their way out sea to the cheers of much of the community, three resort hotels and a luxury housing complex of over a hundred homes are either being constructed or are in the works along this stretch of coast. Building on the dunes is frowned upon, but the ban goes largely un-enforced. 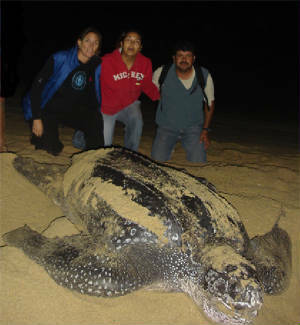 Is the Todos Tortugueros project enough to keep the leatherback from extinction? Probably not on its own. But it just might be able to buy these incredible animals enough time, and enough fans, for us to do something about the other threats to their continued existence. Want to volunteer? Adopt a hatchling? Visit the project? 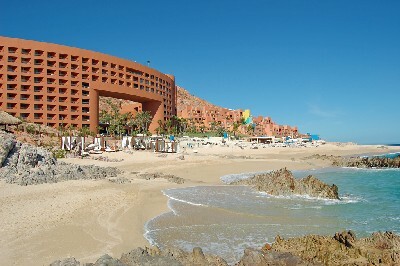 Check out the Todos Tortugueros website for contact information. Interested in saving turtles in other ecosystems? Check out the profile for Matador member organization, Caribbean Conservation Corporation. Founded 50 years ago, the organization has outposts in Costa Rica and Panama. Its website offers numerous resources for volunteers interested in lending a hand.